Rugby union is a team-based, high-impact ball sport with various training loads at different levels which may predispose players to increased but varied illness rates. 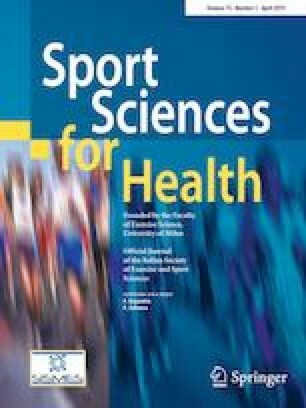 The aim of the study was to characterise the incidence and duration of upper respiratory illness in school boy (three tiers), amateur, and professional rugby players to assess the typical illness rates across different levels. Participants were asked to complete a questionnaire twice a week for the duration of the active playing season investigating level of activity, well-being, and respiratory-related symptoms. Upper respiratory illness incidence per 1000 non-sick days (± SD) for the three tiers of school boy (Under 14 s, n = 9; 2nd XV, n = 15; 1st XV, n = 24), amateur (n = 18), and professional (n = 24) teams was 11.1 ± 9.7, 11.0 ± 17.8, 22.4 ± 30.9, 12.2 ± 21.8, and 12.4 ± 16.8, respectively. In addition, the duration of illness was 62.3 ± 116.1, 59.6 ± 183.2, 552.1 ± 1138.8, 64.3 ± 173.9, and 32.6 ± 59.7 days per 1000 non-sick days, respectively. This is the first study reporting the respiratory illness rates in different levels of rugby. Overall, the highest incidence observed was in the top echelon of school boy rugby, and this study provides a platform for further robust observational and interventional investigation at this level and others. The authors would like to acknowledge Grant Hansen, Wally Rifle, and Todd Barker for allowing us into their training facilities and to get information regarding their players. The authors would also like to acknowledge Professor Will Hopkins for his invaluable assistance with the statistics for this paper. VS, NG, and AB were responsible for study design. VS and AR were responsible for data collection from the respective teams. VS wrote the article in collaboration with AB, NG and AR. No funding was received for this project. The study was approved by the University of Auckland Human Participants Ethics Committee (UAHPEC) in December 2015. All procedures performed in studies involving human participants were in accordance with the ethical standards of the institutional and/or national research committee and with the 1964 Helsinki declaration and its later amendments or comparable ethical standards.